The moment was about as low key as you'll find. Katelyn Tuohy's mother, Denise, briefly mentioned around the house in January, 'You won the Gatorade award again, they're going to be around town around this date.'" And that was about it, the conversation on Tuohy's latest national award, which isn't all that surprising for anyone who knows her well enough. 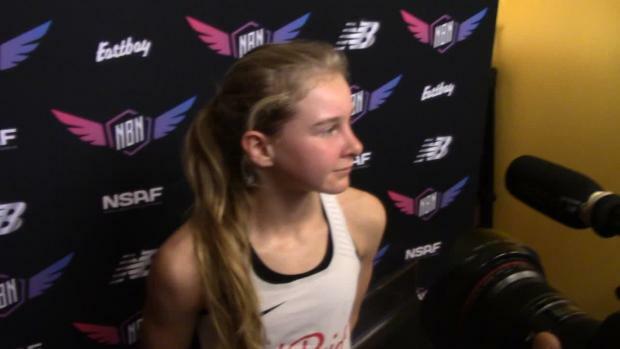 The North Rockland junior, a two-time winner of Nike Cross Nationals and the current owner of the fastest high school girls 5K in cross country history, is making a habit of winning state and national honors. But she hasn't really made a big fuss over them, either. On Thursday, Gatorade traveled to Thiells, New York, to present Tuohy with her second Gatorade Cross Country Athlete Of The Year award inside the North Rockland High School library, amid her teammates, friends, family and coaches. No girls athlete in Gatorade's history has won two straight national honors in cross country. It's Tuohy's fourth straight national honor by the organization. It was a short presentation, maybe about 20 minutes. Gatorade said a few words, and everyone in attendance watched a feature video on Tuohy once again accepting the award. There was another (above) which was reminiscent of a glitzy-shoe commercial. Later, she was asked to speak but declined. The pageantry of these moments never gets any easier, but Tuohy says she's getting more comfortable relaying how she feels. "I'm more comfortable in knowing what to say and what not to say," she said. Of course, Tuohy is deserving, too. Over the past year, the 5-foot-4 distance running star won Gatorade's national Athlete of the Year award in cross country and track and field -- a first in Gatorade's history for an athlete to win both -- and then captured its overall recognition of the top high school athlete in the country, at a banquet in Los Angeles, California. 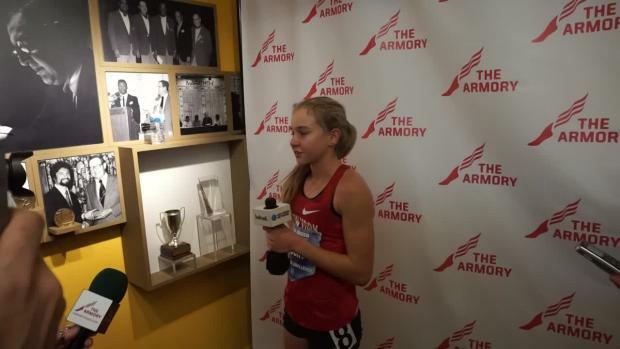 This past fall Tuohy raised the stakes on her winning ways, capturing another NXN title in Portland, Oregon, only this time she downed her previous best time and re-set her own meet record in 16:37.8. She also ran the fastest 5K in girls cross country history, winning the Ocean State Invitational at Goddard Park East in East Greenwich, Rhode Island, in 16:06.87. It was the latter race that Tuohy remembers as her most fond moment of cross country. "I had fun with my teammates," she said. "That was probably my favorite part of the season." She also set a course record at Holmdel Park in New Jersey, another at Sunken Meadows in New York, and continued her unbeaten run over the last two seasons -- she also lowered her course record at Bowdoin Park. Tuohy won her second straight Class A state title in New York and also scored a win at NXR New York in 17:14.00. She finished under 17 minutes for 5K five times. On January 28, Tuohy was named Gatorade's Athlete of the Year in New York State. She now owns five national records over cross country, indoor track and field and outdoor track and field. She's PR'ed in 11 different events over the past year. Beyond her success in cross country, Tuohy continued to give back, volunteering at the Rose Memorial Library and at local youth soccer and running programs. 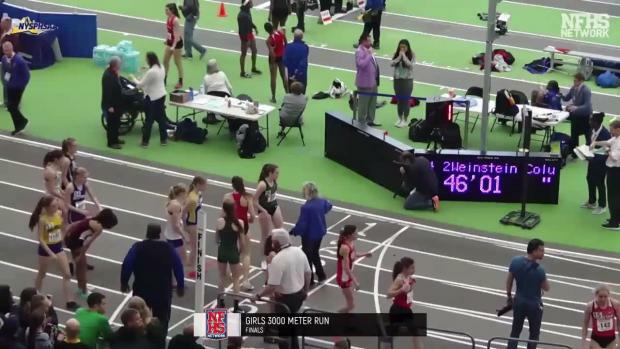 Next up, Tuohy confirmed she will be running at The 112th NYRR Millrose Games' elite high school mile and then will look forward to states in New York, where North Rockland may enter into a 4x800 race. At nationals, the squad will look to defend its DMR title, with Tuohy anchoring the last 1600m leg. 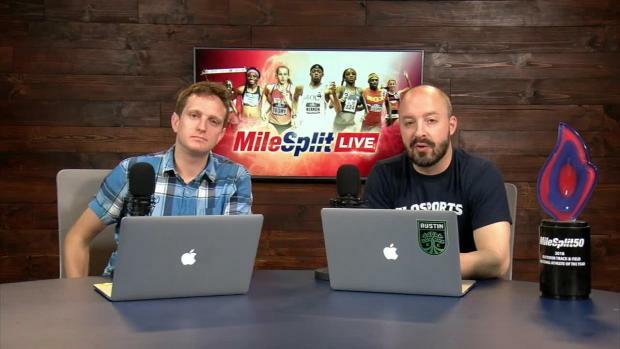 Individually, the high school junior will likely compete in the 1500m and 3K at states, and then the mile and two-mile at nationals. "I'm definitely looking forward to states," she said. "Every time we go there the team has fun with each other and it's a good opportunity to run fast times." 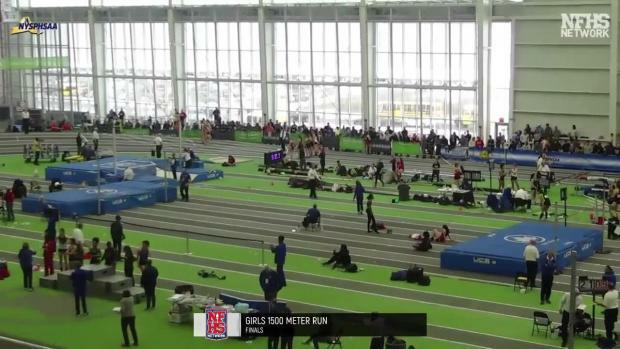 Tuohy recently set an indoor national record in the 3K against a field of pros. She said her next race featuring professional athletes will come in the spring, at a 5K later to be determined. Having now won four national awards from Gatorade, I made sure to ask what flavor of sports drink Tuohy prefers before or after races. For the longest time, she said, she was a stickler for routine. She loved Gatorade's orange flavored sports drink. But recently, Tuohy's preferences have changed. She's now a huge lemon-lime supporter. "I don't know," she said. "I kind of just got tired of orange and wanted to switch it up. I started drinking yellow and now I'm hooked on it."